Have you discovered light, fine hairs growing on the sides of your face and wanted to grab the shaving cream and a razor to get rid of them? Or maybe thought about laser hair removal? While both of these approaches may work, we offer an easier, pain-free treatment at Pure Skin Aesthetic & Laser Center in Bismarck, North Dakota. This cutting-edge (quite literally) treatment gives you the smooth, hair-free facial skin you’ve always wanted but didn’t know how to get. A safe and simple procedure, dermaplaning removes the top layer of your skin and any fine vellus hair, often called peach fuzz, from the cheeks, chin, and elsewhere on the face. This exfoliating procedure uses the same concept as dermabrasion, but is much more gentle on the skin, requires no downtime, and has fewer side effects and risks. During a dermaplaning treatment, we use a special scalpel and delicately abrade the skin, removing just the surface layer. Although this description makes the procedure sound painful, it’s not. We don’t actually cut the skin, but instead scrape the medical-grade blade across the dermis. Although at-home vellus hair removal blades are available, at Pure Skin Aesthetic & Laser Center, we don’t recommend them. Drugstore-quality blades aren’t as thin, nor as sharp as the medical-grade scalpels used in professional dermaplaning treatments. The process of scraping the blade across the skin also creates a risk of cutting the skin and causing an infection or scar and should only be done by trained professionals. While we often see patients requesting dermaplaning for removal of those peach fuzz hairs, the procedure also freshens your face and results in a glowing complexion. Because we remove the top layer of your skin, it smooths the skin’s surface and brightens the face. What’s more, dermaplaning gives immediate results. These results not only make you look great, but also allow for a smoother application of makeup and a greater absorbance of skin care products. The procedure also gives options to those who want a deep exfoliation, beyond ablative lasers, dermabrasion, and chemical peels. It’s a particularly popular exfoliation choice among pregnant patients at our office, as well as those with sensitive skin or conditions like rosacea. The 15- to 30-minute, once-a-month treatments are easy and pain-free. No, it won’t. As long as your hair is vellus hair, the peach fuzz that covers much of the body, it continues to grow at the same rate and with the same texture as before your dermaplaning treatment. 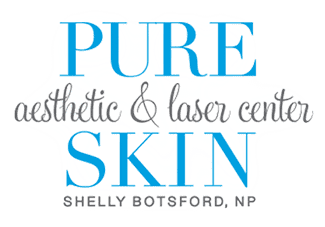 If you’re interested in an easy, pain-free way to defuzz your face, contact us at Pure Skin Aesthetic & Laser Center to schedule your dermaplaning consultation. Call or use the online booking tool today. As you age, changes in your skin can make you look older. If you’re tired of wrinkles and sagging skin, platelet-rich plasma therapy may be able to slow, stop, or even reverse these unwanted signs of aging. Getting your body ready for the beach is no easy task. Even when your diet and exercise programs are keeping your weight down, metabolism doesn’t always let you choose where the fat comes off. Fortunately, SculpSure® gives you a laser assist. The ABCDE rule provides a simple way to remember potential signs of skin cancer. Read on to learn how to examine yourself and know when you should see a doctor.